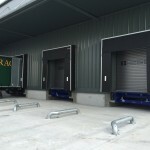 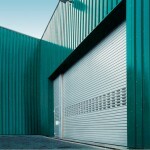 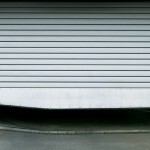 “If your looking for an industrial roller shutter door then we have a full range to cover every need”. 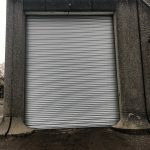 Single skin steel shutters with are useful where a low cost solution is required. 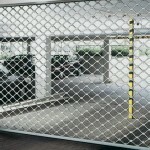 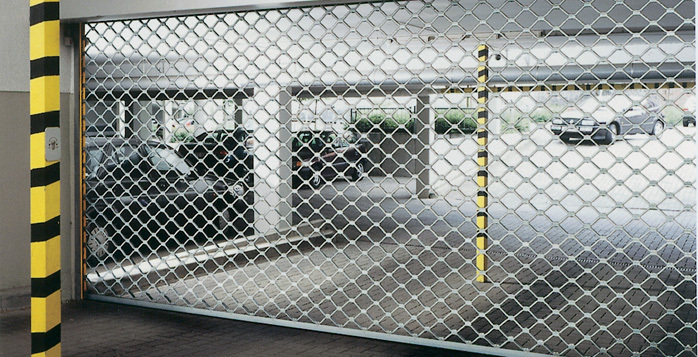 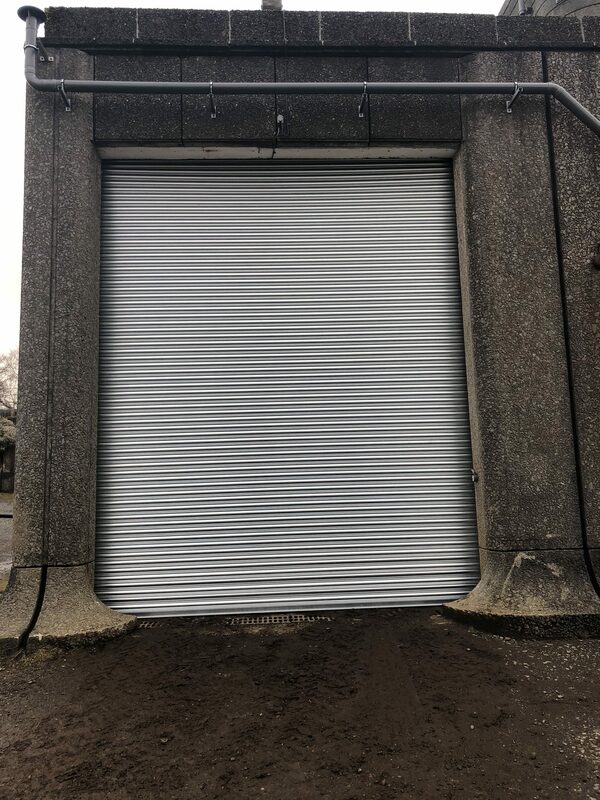 These are manufactured from traditional 3’’ curly galvanized steel lath, this lath can either be plastic coated or powder coated in a wide range of attractive colours. 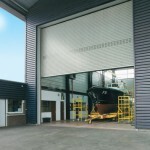 Wicket personnel doors can also be integrated into the door where required. 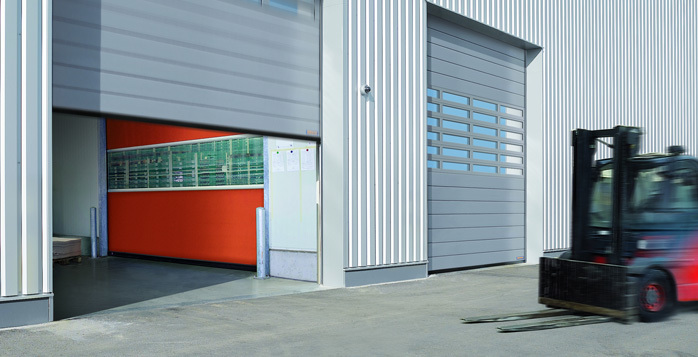 Electric operation dependent on door usage can easily be incorporated into the design with either single phase tube motors or direct drive 3 phase operators. 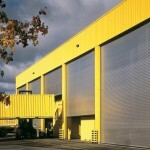 As global energy prices rise, all businesses are looking to save energy where possible. Insulated roller shutters doors such as the Hormann Decotherm can make a large difference to heat loss. 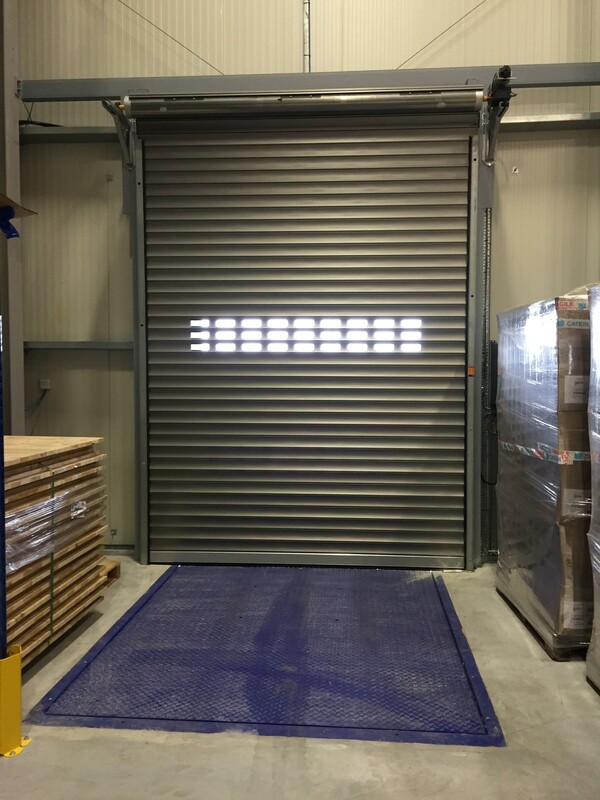 These are doors are made from double skinned lath that is foam filled. 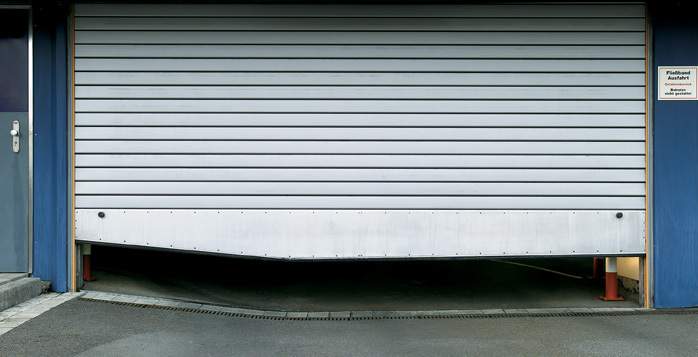 This bonds each skin together making the door extremely strong and thermally efficient. 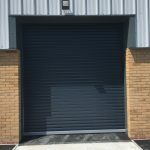 Available in aluminium, steel or stainless steel and a wide range of colours there will a door to fulfil your requirements. 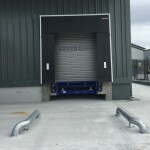 Integrated electric operation will make life easy with single or three phase electric operators that can be controlled by push buttons internally, remote control, induction loops or radars. 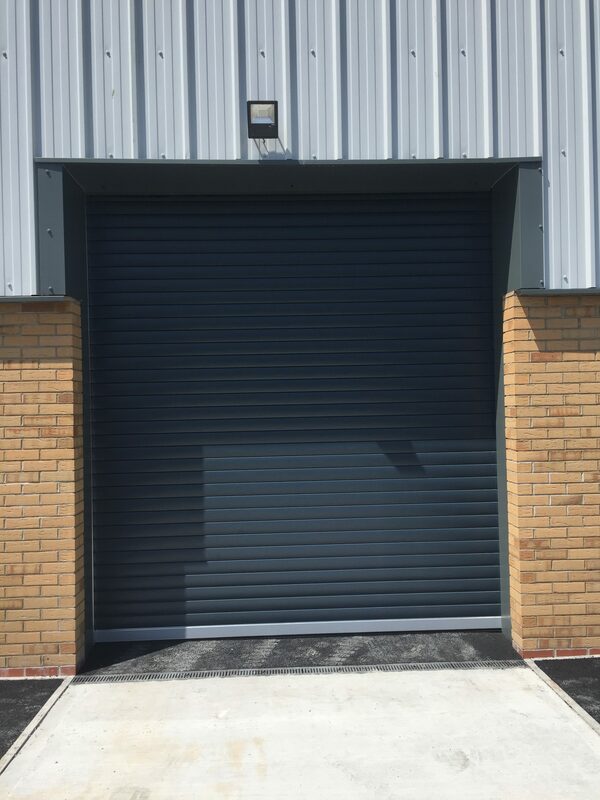 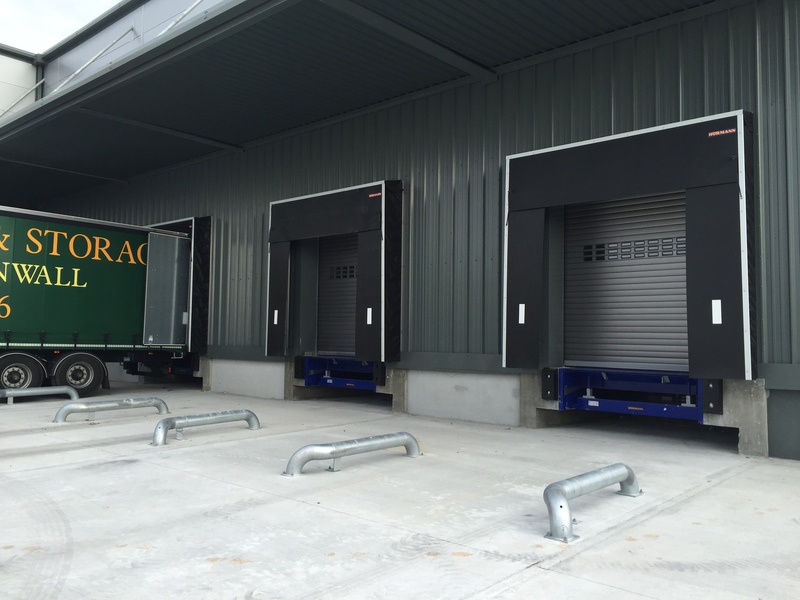 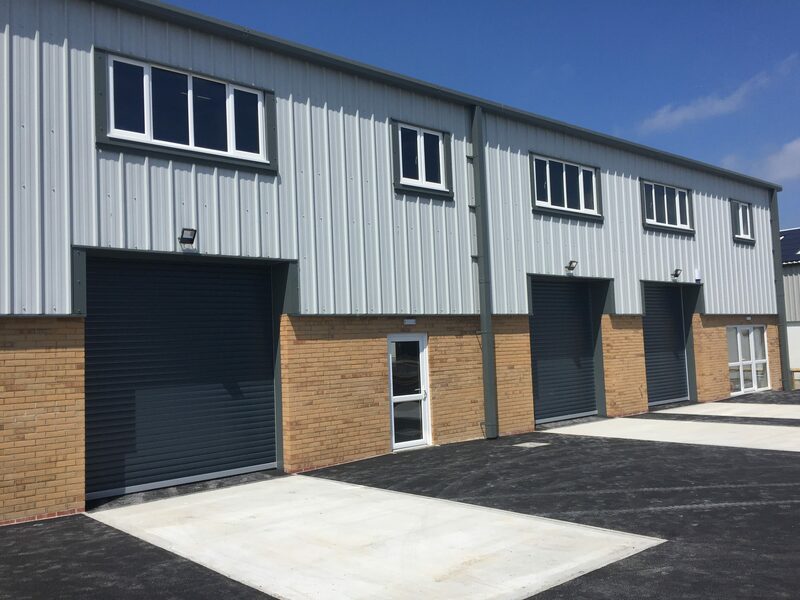 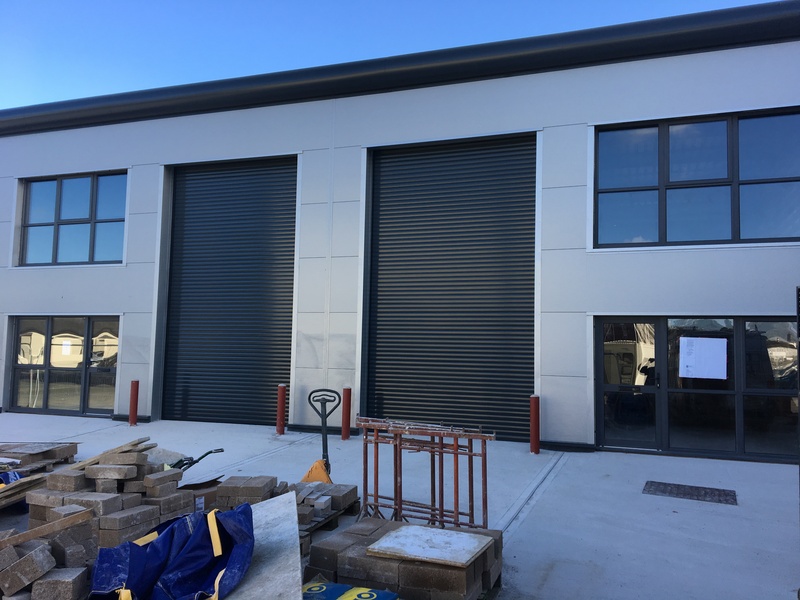 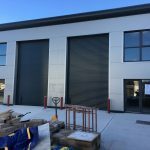 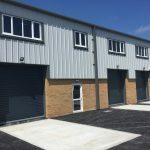 Industrial roller shutters can also be combined with the High speed doors, fitted externally the roller shutter can provide overnight security and the fast action door can stop draughts and improve work flow during the day. 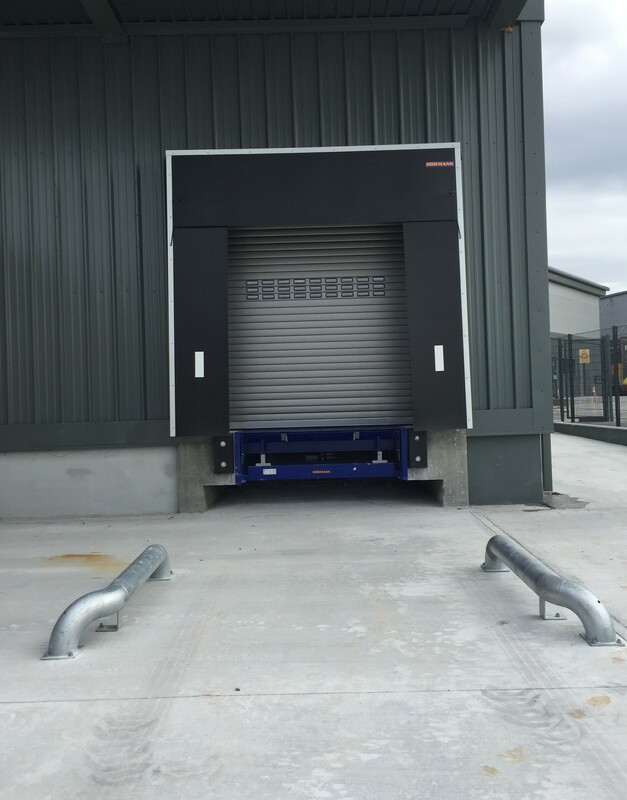 Personnel doors can be incorporated into most roller shutters doors where it’s impossible to provide an additional entrance. 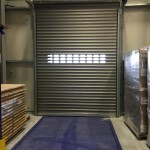 We can also accommodate floors that are not level by installing a bottom quirk strip into the door. Safety is of paramount importance with all of our doors, safety edges in the bottom seal and extra photocells where required give correct protection.